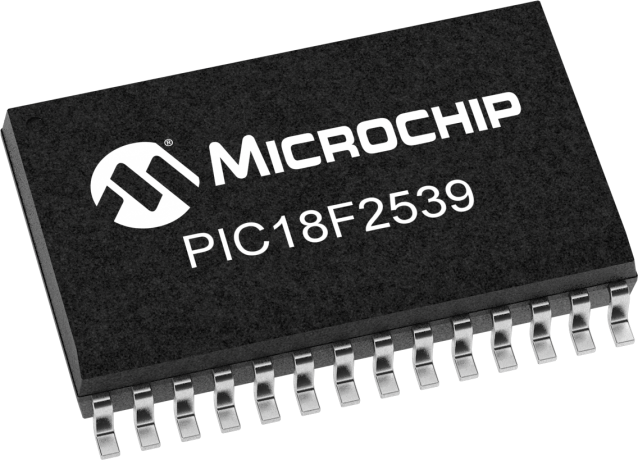 The PIC18F2539 merges all the advantages of the PIC18F architecture and the flexibility of FLASH program memory with a sophisticated motor control kernel targeted for single phase induction motor control applications. The PIC18F2539 also features a 'C' compiler friendly development environment, 256 bytes of EEPROM, Self-programming, an ICD, 2 PWMs, 5 channels of 10-bit Analog-to-Digital (A/D) converter, the synchronous serial port can be configured as either 3-wire Serial Peripheral Interface (SPI™) or the 2-wire Inter-Integrated Circuit (I²C™) bus and Addressable Universal Asynchronous Receiver Transmitter (AUSART). All of these features coupled with the motor control kernel are packed into 28-pin packages and are ideal for the most demanding requirements of today's cost sensitive single phase motor control designs.